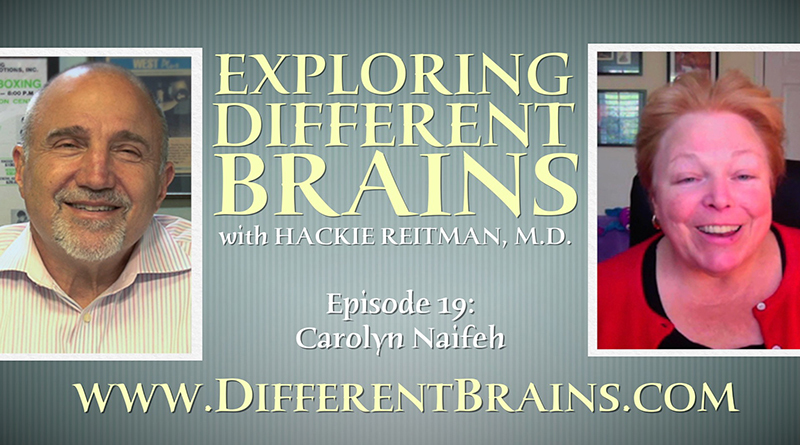 In this episode, Dr. Hackie Reitman speaks with returning guest Becca Lory, CAS, BCCS. HACKIE REITMAN, M.D. (HR): Hi, I’m Dr Hackie Reitman. Welcome to another episode of Exploring Different Brains. Today, we have a returning guest: my friend Becca Lory, who’s on the board of Different Brains, Inc, which is our Differentbrains.org not-for-profit organization, but she does so many other things, is on so many other boards, and does so much for so many, and she is proud to say that she is autistic and she’s on the spectrum and she is doing it all. 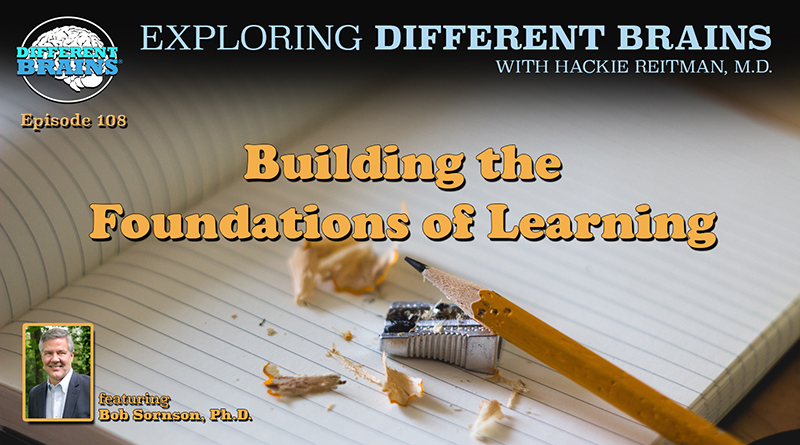 Becca Lory, welcome to Exploring Different Brains. BECCA LORY, CAS, BCCS (BL): Thank you. I’m really happy to be here. HR: Why don’t you introduce yourself properly because I miss out on half of the things you got going on? BL: Sure. My name is Becca. I am an autistic, but I am also an advocate, I’m a writer, I am an autism consultant, I am a podcaster for Different Brains, I do sit on quite a few boards, and I’m also the Director of Communications for the Center for Neurodiversity. HR: Well, I don’t think you have enough to do, Becca. That’s all there is to it. Tell our audience all about what the Different Brains Spectrumly Speaking podcast is that you co-host with Dr. Katie Cody. BL: Well, it is a genius podcast if I do say so myself. 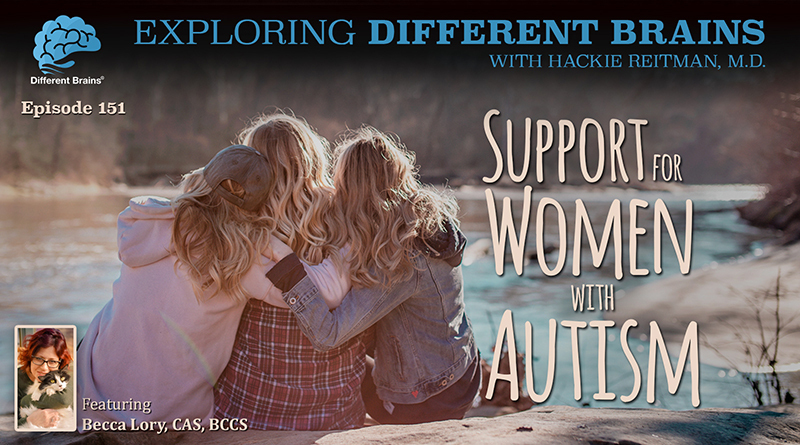 It was actually a little idea that we all had together, we kind of put together, for doing a podcast, the Different Brains team and Kate and myself, where we decided that we wanted to highlight the women of the spectrum, and when we talked about the women of the spectrum, we wanted to make sure we weren’t just talking about the autistics but that we were also talking about the female clinicians, our researchers, our non-for-profit leaders, the other women that make up our autism community, and so, Kate and I were able to come together, we already had a great friendship and a great working relationship, and so with your help, we were able to put together and have some fantastic guests come on and talk to us about their work and what they’re doing in our community to kind of up the game that we have going on, so it’s been pretty fantastic; we’re at – over Episode 50 now – we’re at 51, which is pretty amazing to me that we’ve gotten that far! HR: That is amazing. and we are so appreciative of it, and so are all the women in your audience because women, not just with autism, but women in general, seem to be getting the short end of the stick in so many things, but I’m not going to get on a soapbox because after all, I’m a privileged male. But what I would like you to do though, Becca, is to give a state of the union on women on the Spectrum as you see it today. BL: Well, today I would say that the women on the spectrum are growing in leaps and bounds. Today I would say we’re not going to be easily kept back. Our voices aren’t going to be quiet. We found each other. I couldn’t say that maybe four or five years ago. It’s been the last few years with the help of the internet and technology; we have all been able to kind of break out of our shells in the ways that our autism can keep us isolated and meet each other and find each other and share our stories with each other, and in doing that, our voices got united because what we ended up doing was sharing the same story over and over again, with small variation, but everyone’s story felt familiar to each of us and out of that, we’ve kind of grown a voice. There are some really, really amazing women that are part of our community that are growing into themselves and growing into their diagnosis, finding their voice, and learning to articulate kind of what their experience has been, how to make it better, how to make it worse, and all of those things, so now we’re seeing projects like the one I’m proud to be a part of, which is the spectrum woman book, “Walking to the Beat of Autism.” It was a wonderful anthology that we all put together and worked on, the writers of Spectrum Women magazine. We wanted to take our shared voice and say, “Well, I can share a book with you, and – with my experience and your experience and – we can educate a lot more women who are feeling all alone in their diagnosis right now,” and that’s what we did. We said, “What are the topics that changed for us, that we care about, that matter, and let’s all each take one and write a chapter about our experience with that thing,” and that’s what we did, and it was a fantastic experience; it unified us as a group, it brought us together as friends, and it’s something I think we’ll continue to do for a long time. HR: Is that book yet available? BL: It is available; it’s available from Jessica Kingsley Publishing; it’s also available on Amazon. HR: What do you see, Becca Lory, as the biggest roadblock to progress for women with autism? BL: Wow. Well, we have a lot; a couple of years ago, I wouldn’t have had a name for what our biggest problem is, but I do now because people are thinking about it and talking about it, so what I think – it’s the biggest problem facing not just autistic women but autistics in general – and that is what I’ve now heard called neurotypical bias, and Kristie Patten Koenig, who is an occupational therapist out of NYU – she’s doing a lot of amazing work in the community; she works really closely with Stephen Shore – she did a presentation that I was able to see about neurotypical bias, and that to me is what it is. It’s that underlying piece of ableism that we see where, “It’s okay that I’m different, but my difference has to look more like you,” right? So, I’m still “othered” a little bit; women, especially autistic women, are still talked to like children often; we’re still told to hide our feelings and emotions and not to respond certain ways, and I think until the world understands that our thinking has to shift a little bit, that not everyone’s brain is the same, we all don’t look at the world the same, we all don’t process information the same or our feelings and emotions the same – and so in doing that – we need to kind of open the minds of the neurotypical world to understanding that their way of seeing things isn’t the only way of seeing things or the right way of seeing things. It’s just one of the ways of seeing things, so I would like to see that kind of happening, and ’til we can kind of get the neurotypical world to catch up and open their minds a little bit to our way of thinking, I think we’re going to continue to hit this roadblock. HR: That’s very interesting because what I’m finding also with Differentbrains.org is that as we try to get everyone under one roof – all the neurological conditions, the mental health conditions, the intellectual differences, the developmental differences – because none of these occur in isolation, I can’t do everything I’m doing without having some anxiety, and I don’t know how it had been labeled ‘cuz I got expelled in the first grade in the 10th grade, and I don’t know if I ha… were to have autism if I could not have anxiety and so on and so forth plus all the additional things, so we’re trying to get everyone to play nicely in the sandbox thanks to the help of board members like you and the audience out there, and I think that once we get the concept that all of our brains are different and we look through that prism, things can get easier; however, when you superimpose upon that, as you know better than I, the overall way we look at women different from men in this world, then it magnifies things. BL: Yes, absolutely, and I think that’s the whole idea; I mean the reason that I’m proud to sit on the board of Different Brains is because that’s the concept, right? It’s that everybody’s brain is different; it’s not your brain isn’t good because your brain is different this way, right? And, because that’s not fair. I’m perfectly functional when I work with my brain instead of against my brain, and the world had been telling me for the first 36 years of my life to work against my brain, but once I started working with it, I’m able to do all of these things that we listed in the beginning. Without working with my brain, I couldn’t do those things; when I was fighting my own brain to be something else, I was miserable, I was unhappy, I wasn’t functional, I couldn’t work, I couldn’t, you know, there was, it wasn’t working. It wasn’t a functional system, so that has to change. I think we need to change the way we think about it from the get-go. HR: That’s very well said. For any young woman, or any woman, who has just been diagnosed with autism, what would you advise her? BL: Read! “Read” is my favorite thing to advise, and not everyone is a reader, and that’s why I was so excited to do the podcast because sometimes you need it a different medium, so what I say is go find your tribe. That’s the best way, and I know I’ll get flak for saying the word “tribe.” It’s not cultural appropriation; I’m sorry if it offended you, but go look for us; go find us because we’re writing. There others of you out there writing, speaking, doing podcasts, being available online, and you’re in the online groups. Most of our community functions online. If you’re looking for the autism community, get on your computer; we’re there, and that’s how we all communicate with each other, so get online; get some books; look for some recommendations; you can start on my website if you want to. I have some resources on there; I certainly have my writing and reading on there, but I always say to people start there. Read somebody else’s experience because the minute you start to understand that you’re no longer alone and it’s not just you and you’re not the broken one, suddenly there’s hope, and there’s the ability to understand that things can change, and it doesn’t have to be the way it’s been, but until you hear other women’s voices to know you’re not the only voice, it’s kind of hard to push past, so get out there and do some reading. You don’t have to get involved. You can get online and just, you know, go around and read; you don’t have to participate right away, but you’ll feel less alone in the journey for sure. HR: Is there anything we haven’t covered regarding your experiences as an autistic female who’s an advocate, a leader, a business woman who’s a writer and author and all the things you’re doing? Is there anything else we have not covered for our audience you would like to cover? BL: Yeah, I think so. I think I just, I really want to emphasize the strength of our community. We really are out there and we’re in large numbers, and we function a little bit differently than the communities you’re used to seeing, but we’re there, and so I think if we can gather our numbers together and we can learn to behave collaboratively, we can see a lot of the changes that we’re looking to have in society, in our world, but especially in our community, and that’s going to mean for us stepping out of our autism bubble and our autism comfort zone, into the mainstream, and educating the rest of the world about how special our community. HR: Would you care to address any issues that might be more prevalent than the general population in the autism population, such as would you… would you have anything to say about gender issues in the female or male autism population? BL: Well, I think we’re fighting the good fight as women; we’ve been cut out of the research a lot. For many, many years, autism was thought to be a male disorder or male problem, a boy problem, and so for many years, girls were not diagnosed, so we’re late to getting our diagnosis, we’re late to coming into the autism community. It was really just a boys club for a really long time, so all of our preceding research is all about men and boys, so we really know very little about the differences between men and women other than anecdotally. We know we present very differently; we know our challenges are usually very different; we know that society treats men and women differently, so our socials… our social lives are different, so there’s a lot of differences that we have but we don’t… haven’t had the support from funders, from grants, and from researchers to give us – either to include us in study so that’s it’s not just a male study, so that it’s a male and female study – or to be doing female-based research, so that we can start to get the statistics we need to tell people we need support, so that’s the like, life cycle of everything in the autism community. If we don’t get the research, we can’t ask for the supports because we can’t prove the need, so what usually happens is if you experience it anecdotally and the community the researchers hear it enough that they start to study it. Then we get their data, and then we can get the support for it, and so if we don’t start shifting our research a little bit, what were researching – and that’s not just in in women, not just turning it to face just women – but to lean a little away from the genetics-heavy research we’re doing and to start thinking more sociologically, to start thinking about the mental health issues that the autism community is struggling with, the suicide rates that the autism community is struggling with, our early death rate, our healthcare issues… all of those things need to be done better for us. We’re asking for that help, and now the rest of the world kind of needs to answer in how that they’re responding, you know? The behaviors need to change – right? – a little bit. The research has to move, and I think that strong voice that the women of the spectrum have collected is pushing things to go that way, and I hope it continues going that way. HR: Good. 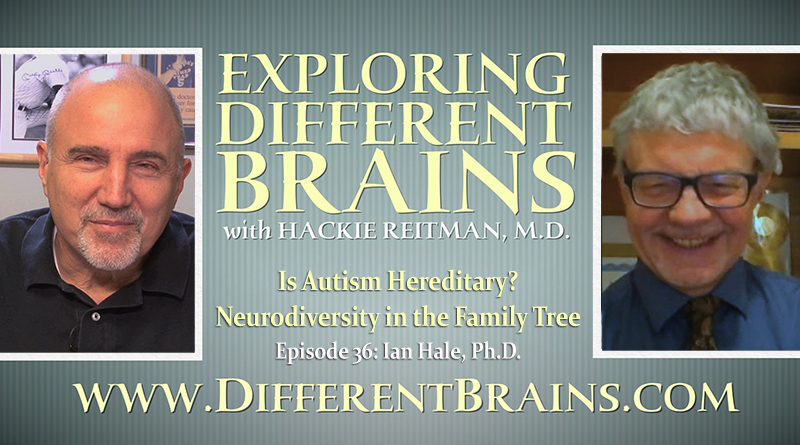 Can you also address gender identification issues in the autism community? Right now, when I go to the doctor, I don’t tell my doctor that I’m autistic. It affects my treatment. I will not be treated as an adult who can make responsible decisions once I’ve told someone I’m autistic because still the concept of an autistic adult is so foreign to people that the idea that I could be autistic and grown up and married and have a job and do all of these things… it doesn’t work in their brains, and so I get reverse discrimination in the doctor’s office, but that’s because, you know, they’re not getting trained in medical school about what’s different about an autistic or about autistic adults, so what we’re seeing is a lot of misunderstanding and miseducation, right? We’re not… the information isn’t available, so people don’t know. You can’t know what you don’t know, so nothing changes, and we’re stuck in this cycle, so it means those of us in the autism community might again have to be the ones to take the first step and say, “Alright, we’ll step outside of the comfort of the autism bubble to educate you about how things could be different.” Because usually, when we adjust things for people on the spectrum, it usually adjusts pretty well for everyone. HR: Well, that’s very well said. You know, I was proud to have given the first-ever neurodiversity lectures at the American Academy of Orthopaedic Surgeons, and as an MD, I had zero training in this at all. Can you talk a little bit about your misdiagnoses early on, when little was known, and the mental health labels that were assigned to you in their stead? BL: Sure. I was not diagnosed with autism until I was 36. All of those years, I was misdiagnosed. I think the misdiagnoses began really early on, probably about Kindergarten. There were issues, they were telling me I had school phobia, social anxiety… then I had reading issues they thought, which wasn’t true. I was actually having… I have a math learning difference which no one caught. I later got told, you know, like, as the years went on, I got told Manic-Depression, Borderline, Schizophrenic, definitely Depressive, and so, there were many of those labels, and they were heavy hitting labels, and each of those labels came with a different medication, so I spent those years of my life not only being… being given therapy for something that wasn’t something that I wasn’t dealing with, but I was also being given medication for those same things, which doesn’t make you feel better; it makes you feel worse, so without my autism diagnosis, I was not only being given the stigma of the mental health label, period, but I was being given wrong label, right? So I was functioning with a misunderstanding of myself that someone else gave me, and it mean… meant a lot of mistrust with doctors and therapists and adults in general most of my life, but it also meant that I didn’t trust myself. It meant I didn’t trust my own experience, my own reality, my own kind of brain. I didn’t trust my own brain, and people talked me out of trusting my own brain until I got my diagnosis, and then I said, “See, I told you!” Like, it was a really big “See, I told you!” moment for me. HR: Tell our audience again where they can reach you at your website. BL: Sure. If you’re looking for me, you can definitely find me at www.beccalory.com but you also find me on LinkedIn, Facebook, and Twitter. If you’re looking for my emotional support dog Walter cuz he’s the cutest ever, he’s on Instagram at @sirwalterunderfoot and then, of course, you can always find me on Different Brains at the Spectrumly Speaking podcast. HR: Becca Lory, thank you so much for being with us here on Exploring Different Brains, and thanks for all the work you do for Different Brains and on your podcast Spectrumly Speaking for Different Brains, and you’re terrific, and thank you so much. BL: Thank you. It was a real pleasure to be here.